This small seaport and fishing port is situated along Marbella’s seafront so you can reach it by walking from the old quarter or from the Marbella hotels. Not far from the port there are small fish farms situated under the water. 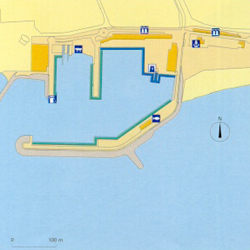 Marbella’s port offers all the services required by a seaport such as fuel top-up, a dry port for repairs and maintenance of boats and a market where they sell sea product everyday. One must not confuse or mistake the port of Marbella with Puerto Banus as they are two different ports, being Puerto Banus the one that has all the international fame. Entrance difficult in W-SW gales.